VAN DJANGO is an acoustic string ensemble made up of four of Canada's most talented and eclectic musicians; violinist Cameron Wilson, guitarist Budge Schachte, guitarist/cellist Finn Manniche and bassist Brent Gubbels. Van Django's music is well-rooted in the gypsy jazz of 1930's Paris France, but beyond that it's all pure blue-skying; flights of dazzling fancy, driving rhythms and boundless creativity featuring original compositions and arrangements including humorous mash-ups that showcase their eclectic influences in full regalia. THE LAWLESS HOT CLUB is the new Gypsy jazz group on the block made up of several musicians from disparate bands. Guitarist Michael Dunn has been a fixture in the Gypsy jazz world in Vancouver from its beginnings in the late sixties. Don Ogilvie, whose guitar playing mastery is firmly rooted in the Gypsy style, has played in more groups than anyone can count. Their newest discovery is Edgar Bridwell, who played with the late Ray Condo and his repertoire includes anything from Mendelssohn to Grappelli and whatever is between. Joe Bourchier a journeyman bassist can be found playing all over the city in many bands. And chanteuse Eleanore Dunn, whose repertoire encompasses music from the American songbook, has what people have described as an “old fashioned voice” ideally suited to the music of the time. 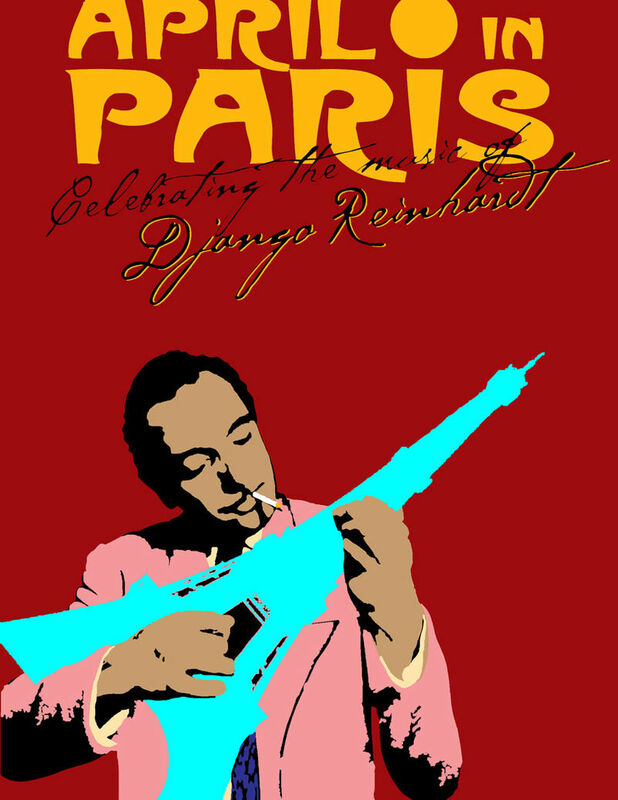 The group will feature some original Django pieces seldom heard as well as some surprises.